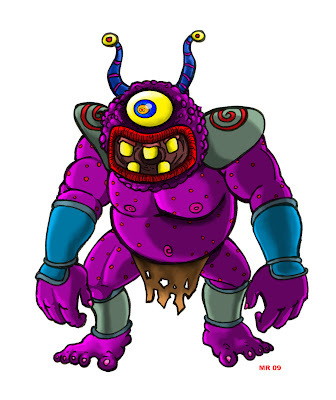 Large, lumbering purple ogres, the Goberians are the manual labor of the universe. Originally from a large planet orbiting a dying sun, their race developed immense strength due to higher native gravity. Inherently peaceful and loyal, they travel the galaxy in bands, finding work in construction projects and the like.